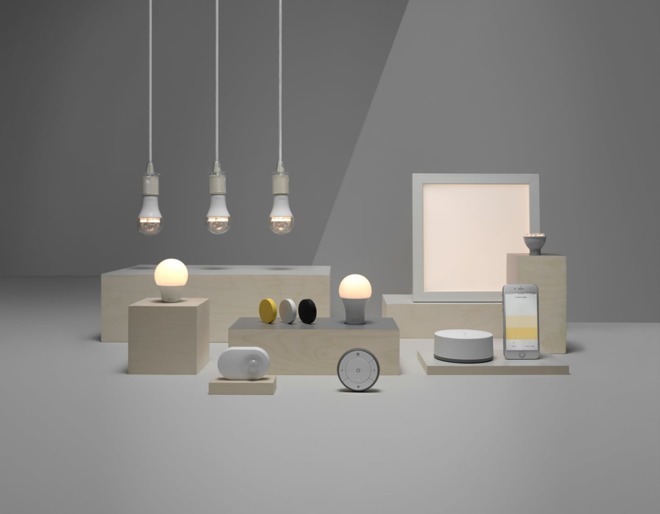 In late summer or early autumn Ikea will roll out a firmware update to its Tradfri network gateway, to make its line of smart bulbs compatible with Apple's HomeKit. The addition was announced by Ikea on Tuesday. While the proclamation is from Ikea headquarters in the Netherlands, the firmware update will likely be international as there is no difference between the European hardware, and the U.S. version. 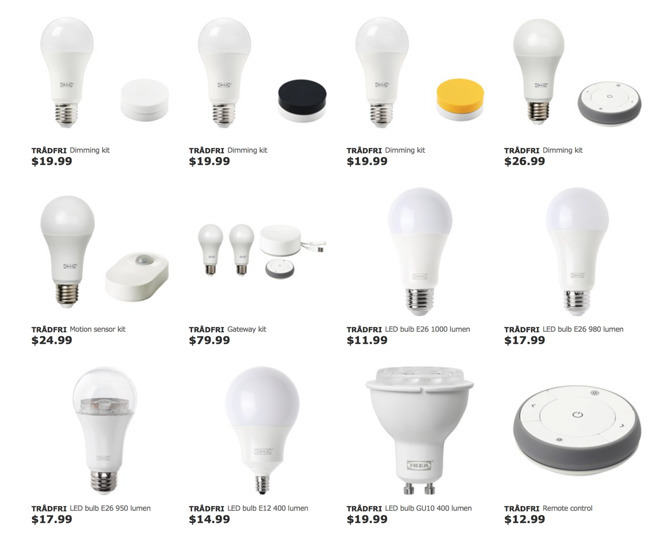 The Tradfri system from Ikea spans nearly every kind of residential light bulb connector, with desk lamp compatible E12, Edison connector E27, and fixture-compatible GU10 bulbs available in the system. A network gateway plugs into an Ethernet connector on a router or hub, allowing for the iOS app to control connected bulbs. By itself, a stand-alone bulb and a dimmer remote that can control up to 10 bulbs retails for $19.99. A motion sensor kit with a single bulb retails for $25. To use the Tradfri system either now with the Ikea app or after HomeKit compatiblity is added, the gateway is required, and sells for $30. Individual bulbs are available for as low as $11.99. The Tradfri app requires iOS 8, and occupies 41.5 MB of device storage space. The firmware update will also add Alexa and Google Assistant compatibility. Introduced in 2014, HomeKit allows users to connect to a variety of compatible so-called "internet of things" devices through the iOS Home app in conjunction with each other, as opposed to a series of disconnected interfaces.